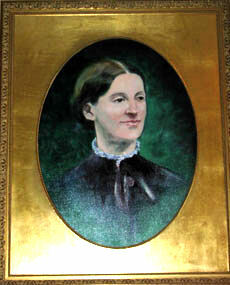 Elizabeth Morris, founder of Morris Animal Refuge. The Morris Animal Refuge offers innovative and high quality care for cats, dogs and other small animals. The Refuge provides a full range of preventive, protective and adoption services for abused, neglected and abandoned animals. The Morris Animal Refuge adoption services cover the Greater Philadelphia area in Pennsylvania, New Jersey, Delaware, and Maryland. In more than 135 years, no animal has ever been turned away from our door. The Refuge, the first in the United States to care for cats, was founded by Elizabeth Morris, one of our nation's pioneers in animal welfare, in 1874. The Refuge continues to operate today in Center City Philadelphia at its home at 1242 Lombard Street. The Morris Animal Refuge kennel is approved by the Commonwealth of Pennsylvania and meets or exceeds all Commonwealth requirements for housing animals. All of the Morris Animal Refuge's adoption policies and guidelines are derived from The Humane Society of the United States. Note: The above descriptive information came from the organization's History & Mission page. What do I do with this animal I found?, West Philly Local, February 20, 2018. This page was last edited on 5 April 2018, at 15:46.